I have been providing music for weddings as a solo cellist and chamber musician for over 30 years. 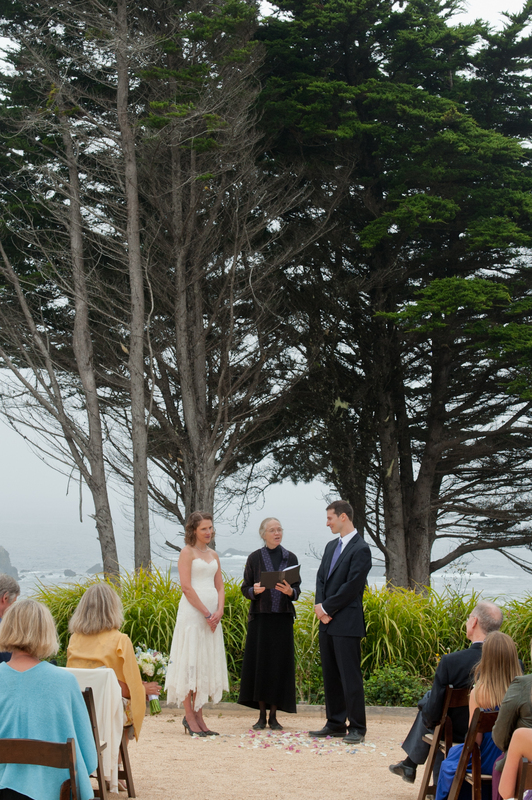 In 2012, I began officiating weddings on the Mendocino Coast. I see my role as giving voice to what you wish to express to each other, to your family, and to your friends on this special occasion. I offer a non-denominational ceremony to which poems, other texts, and personalized vows can be added. Your family and friends can be involved if you so desire. My goal is to create a ceremony that reflects your individual tastes and unique voices. If you are planning to elope to the Mendocino Coast, or if your wedding party will have 14 or fewer people, I can also provide combined Officiant/Musician services, playing solo cello before and after the ceremony, choosing from my repertoire according to your musical preferences and/or accommodating your special requests. You can contact me at 707.937.3342 or through this website.